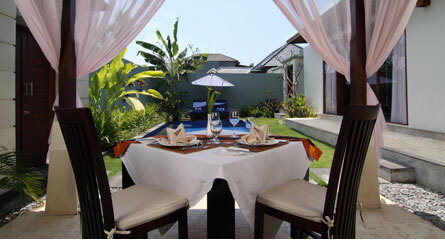 The Palm Suite is a style villa in Sanur; just 30 minutes drive from Bali’s international airport Ngurah Rai and within minutes to Sanur beach or shopping center. 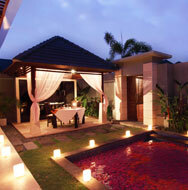 With quieter and more relaxed feel atmosphere you just may enjoy the villa living style. 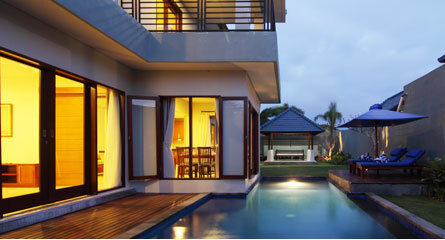 The villas decorated with Balinese and offer state of the art features, in total 16 units of 1 bedroom private pool villas, 2 units of 2 bedroom private pool villas, 2 units of 3 bedroom private pool villas. Each villa is featuring with a living room, integrated open air dining room with private pantry and completed with individual control split air conditioning, in room entertainment with CD/DVD player, Flat screen TV on the living room, IDD phone, tea and coffee making facility, mini bar and personal safety box and also a modern and ethnic bathroom combine by details bathroom amenities, hairdryer, slippers, complimentary toiletries, internet access, bathrobes. 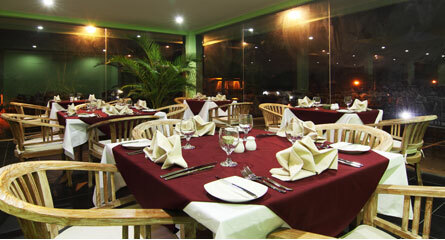 The restaurant was characterized by international cuisine enriched by various regional influences from the Indonesian. 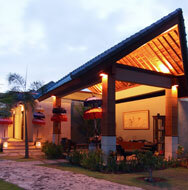 With fresh and original ingredient from ancient recipe for traditional Balinese Massage. 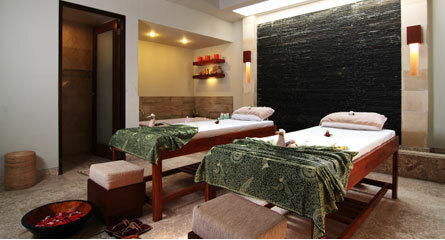 Escape into fantasy and lessening your knotted muscles with our spa treatment, designed specially for them who want to experience the gentle touch of Balinese relaxation.